I guess there are easily more than 3 credit cards from various banks in your wallet right now. I used to have a liking for credit cards, no real use for them except adding them to my collection. One day it suddenly hit me that it is quite stupid to do that, because i need to call up the banks so many times to waive off my annual credit card fees. From then on, I cancelled lots of my redundant cards and only apply credit cards when I have real need for them and they fits my lifestyle. 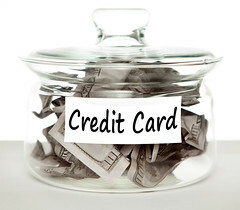 Credit cards are good helpers when you know how to use them. Right now I only have 3 credit cards with me. As I take public transport, my POSB Everyday Credit Card acts as my ez-link card. It saves me one card slot in my wallet. I applied for EZ-Reload which gives me 2% rebate on the top-up amount. EZ-Reload is a service whereby it auto top-up when my ez-link credit runs low. This means I will always have enough money to take MRT and Bus without hassle. SingTel-UOB Platinum Card gives me 0.75% SMARTS$ of my SingTel bills every month as my monthly bill is less than S$100. My Singtel bills is charged directly to this credit card and the rebates are automatically offset for the subsequent months. I get to save money on my monthly SingTel bills and have one less bill to worry about. I signed for Standard Chartered Manhattan World Mastercard because it offers a generous 5% cashback when you spend S$3000 and above (cap at S$200 per quarter). I signed up this card for my wedding expenses. I seldom use this card now and I plan to use it for future big expenses such as holidays and for my new house expenditures. As you can see, all my credit cards fits my lifestyle and gives me cash rebates instead of rewards points. Every little savings on expenses goes a long way! Next Next post: More Money = More Happiness?